21 April - Members did additional training hight up into the ice fall today. Addition training climb. 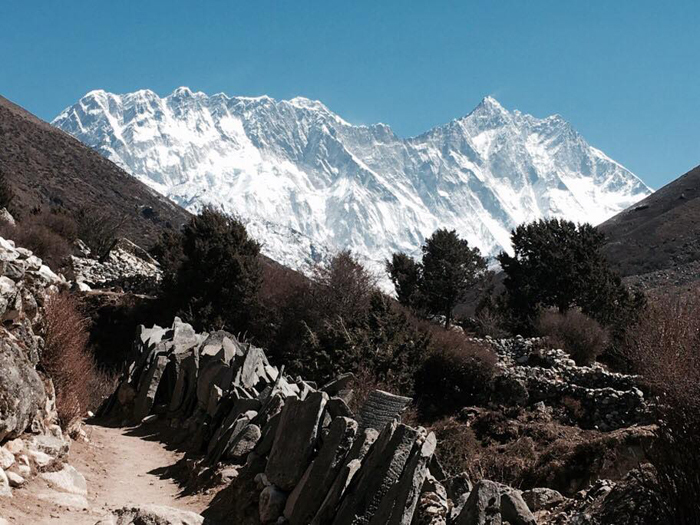 Photo Kristyn C.
20 April - Today members did an acclimatization hike upto Pumori BC. 19 April - We had our puja so we have all been blessed and are now allowed further up the mountain. We did Puja today in Basecamp. 18 April - All members are fine. 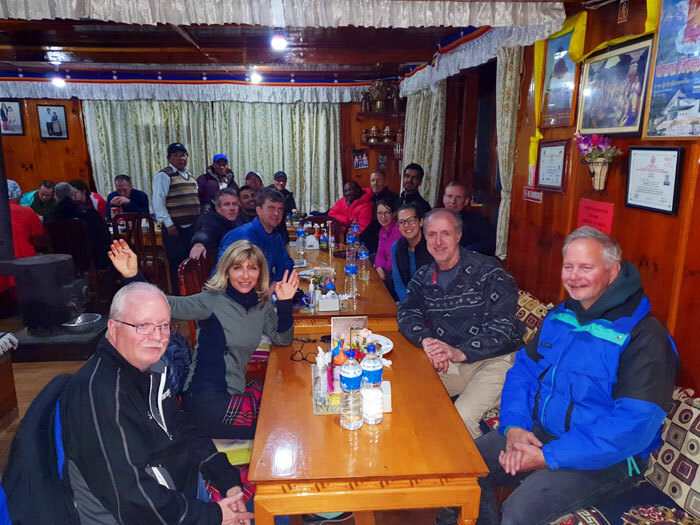 We are in Everest Basecamp doing Ice training and having good food before going to Khumbu Ice fall. 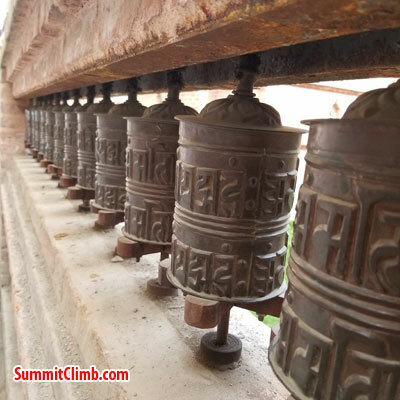 17 April - All members are doing great, we reach Everest Base Camp. Dani. 15 April - All members are doing great just heading off to do an acclimatisation hike from 4410mtr up to 5085 mtr. 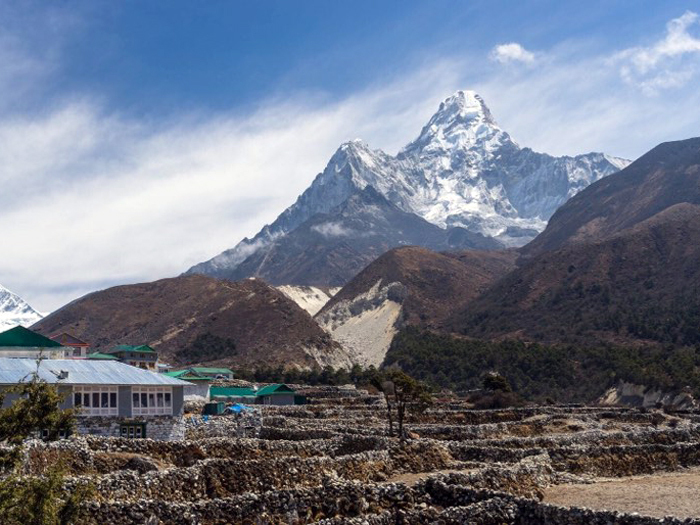 13 April - All members are now in Pangboche and acclimatising very well. 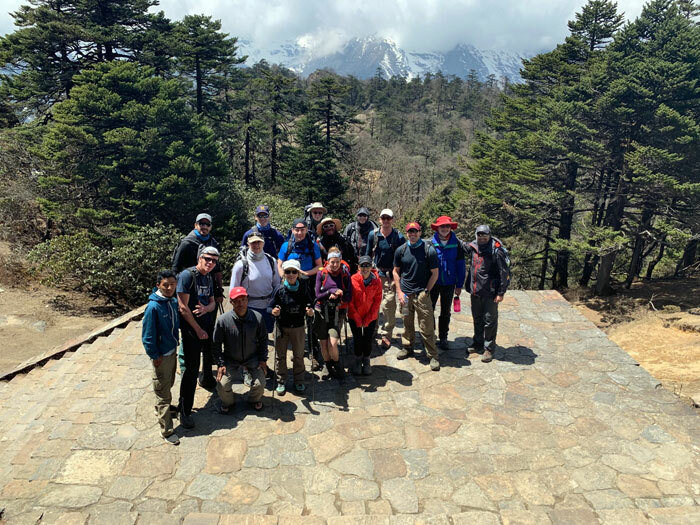 12 April - Today we had an acclimatisation hike 3 hours and then the rest of the day was rest and relaxation. 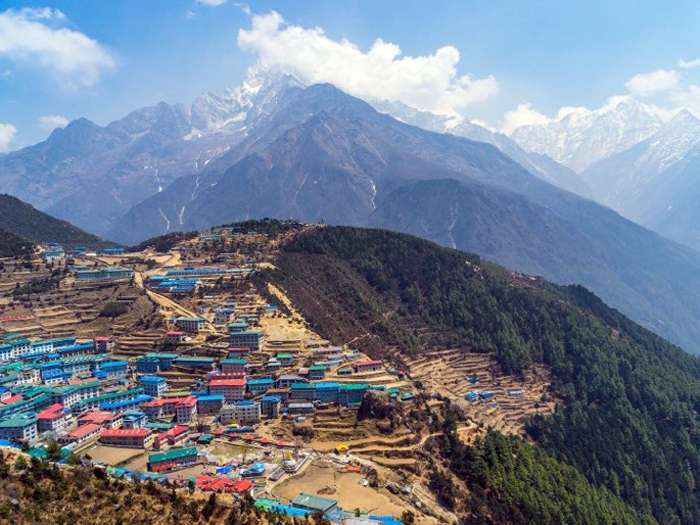 11 April - We all had a great hike to namche and are now recovering in a stunning tea house. 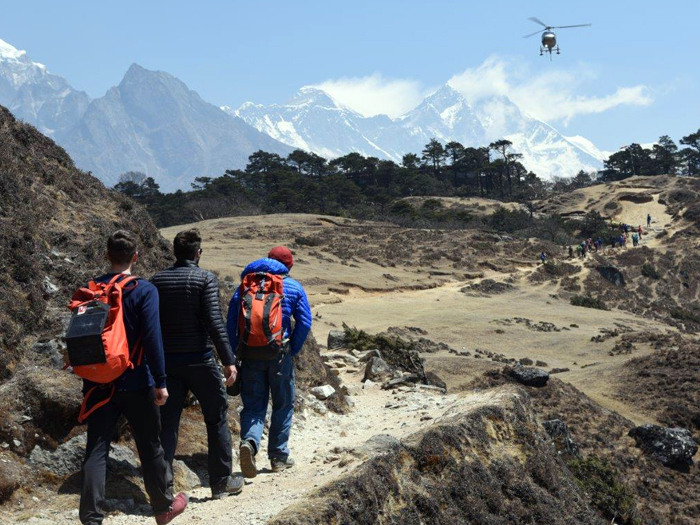 10 April - We had a beautifully sunny trek to Phakding today and all members are doing great. 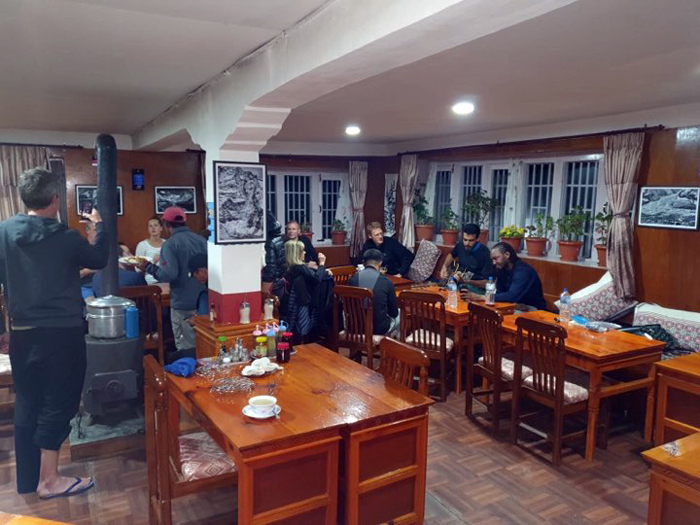 9 April - All members safe and well in Lukla tea House. All members at lukla tea house. 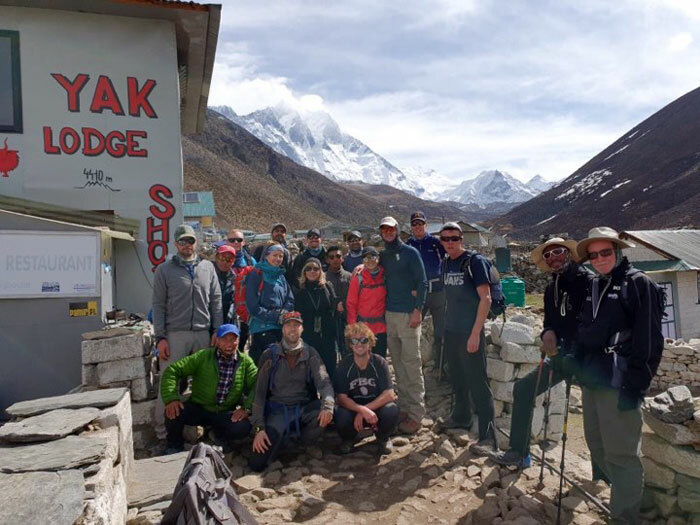 Team members are in at lukla. 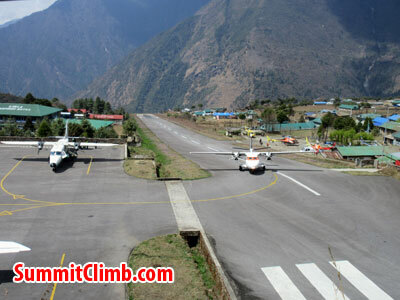 8 April: Today is our team briefing and last minute shopping, then packing for tomorrows early morning flight to Lukla.